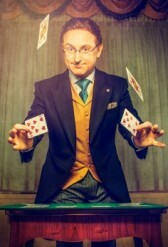 Steve Cohen is one of the most respected contemporary magicians in the world. But his success didn’t come without risks, both personal and financial. In our conversation Cohen shares the secret behind succesfully launching his critically acclaimed show Chamber Magic, which recreates the intimacy of parlor magic that was popular in New York during the 20th century . “Chamber Magic” is set in an elegant salon in the Lotte New York Palace hotel. The show features conjuring, mind-reading, sleight of hand, and an astonishing trick called Think-A-Drink. 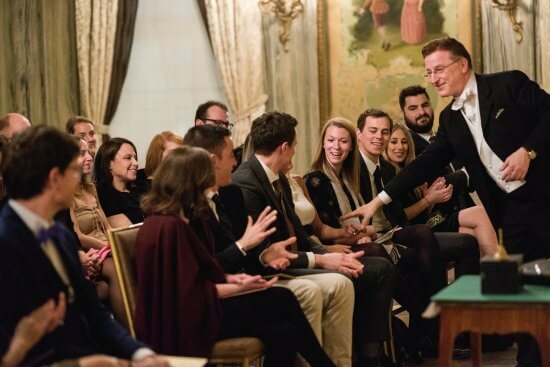 A celebrity favorite, Cohen baffles his guests with magic up close as he recreates parlor entertainment that characterized Manhattan in the early 20th century. Update: Steve Cohen’s Chamber Magic show will celebrate its 5,000th performance on Friday, October 6. Tickets and information on Chamber Magic. Check out episodes that also mention Magic, New York.